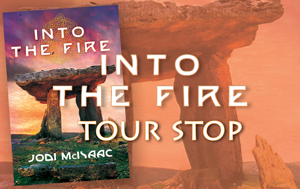 Into the Fire by Jodi McIsaac Feature, Interview and of course...Giveaway!!!! Cedar McLeod would like nothing more than to return to Tír na nÓg, help rebuild the mythical kingdom, and start a new life for herself and her daughter, Eden. But peace is isn’t what Cedar finds after being reunited with her little girl. Nuala—who kidnapped and terrorized Eden in her previous bid for power—has returned and is making a persuasive claim for the vacant throne. The devastation such a ruler would bring upon both the kingdom and the human world is unthinkable. With no one else to stake a convincing counter-claim, Cedar steps forward . . . but first she must prove her worth beyond a doubt. Her opportunity comes when she is charged with finding an ancient treasure, the Stone of Destiny, and returning it to its rightful home. It is a quest that will lead her to question her beliefs, and push her loyalties to their limits. If she succeeds, Cedar could grant her new world and her new family a chance to flourish again. If not . . . destruction may be the only path ahead. Q: Can you tell us a bit about you and your books? 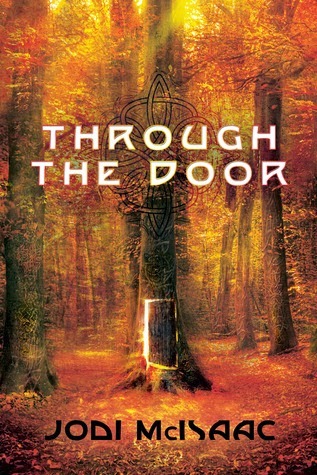 A: The Thin Veil series is contemporary fantasy based on Celtic mythology (Irish, to be precise). It revolves around a single mom, Cedar, and her young daughter Eden. In the first book, Through the Door, Eden discovers she has magical abilities—she can open a portal to anywhere just by opening a door. While Cedar is trying to track down Eden’s father to get some answers, her daughter is kidnapped used as a pawn in a civil war in Tír na nÓg, the Irish Otherworld. Cedar has to overcome her hurt and anger toward Eden’s father and accept that things aren’t always as they seem in order to rescue her daughter. 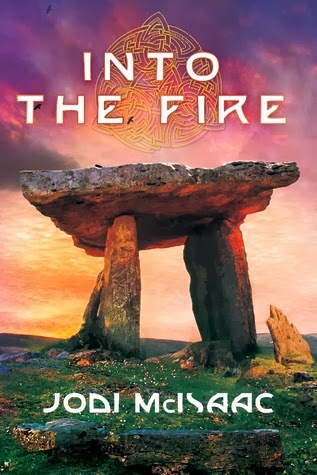 In the second book, Into the Fire, Cedar needs to wrest control of Tír na nÓg from a powerful adversary who wants to destroy the Earth. To do this she must find the fabled Stone of Destiny, which has been lost for centuries—a seemingly impossible task. As for me, I’m a mother of two feisty daughters, I run a boutique copywriting agency, and try to stay warm in Calgary, Alberta. Q: Has writing always been a passion for you? A: Definitely, although there were too many years when I didn’t pay it enough attention. I wrote constantly as a child – stories, poems, my 13-page “novel.” I even wrote a poem about particles for a high school physics class (and got an A). I had it all planned out – I was going to finish my first novel by my senior year of high school, have won the Pulitzer Prize by the time I graduated from university, and have my PhD by age 25. Except … none of that happened. I got caught up in eight years of post-secondary education, started a career, got married, had children … and all the while I thought, “When I have more time, I’ll write that novel.” Fortunately, I finally woke up one morning and realized that I was just making excuses. The way things were going, I’d be on my deathbed thinking, “I always wanted to write a novel.” So even though I had a two-year-old and a four-year-old and had just started my own business, I found the time to write, and the result was Through the Door. It was the best decision I’ve ever made. Q: Who would you say influenced you the most? A: I had an amazing, AMAZING story coach, Chris Hansen. He was introduced to me by a mutual friend, and agreed to take me on as his padawan, even though I lived in Vancouver and he lived in San Diego. I had absolutely no idea how to even start writing a novel, and so he very patiently taught me everything I know about story structure, theme, plot, pacing, character development, and so much more. Without his support and encouragement I would have felt so lost and overwhelmed, and might have given up. But he believed in me, and so I tried to soak up everything he taught me and put it into practice in my novels. He is most definitely a huge part of my success. A: Books, of course! But I’m a big superhero fan so I watch all of those movies. To be honest, there’s so little free time in my life that I only get to see a movie a few times a year—I’d rather be writing! A: Hmm. Depends on the mood, but I’d probably go with vanilla. Chocolate is stimulating, vanilla is comforting. Thank you, Jodi, for letting me quiz your brain! I'll be reviewing both books very soon, right here, on this blog. Thank you for your time! 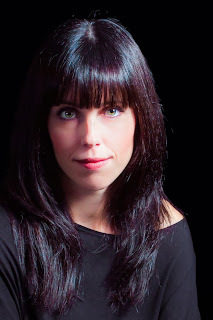 Jodi McIsaac is the author of the Thin Veil contemporary fantasy series, where Celtic mythology and the modern world collide. Into the Fire, the second book in the series, is being released on November 12. You can pre-order it here.